New York Times-bestselling author releases new novel. 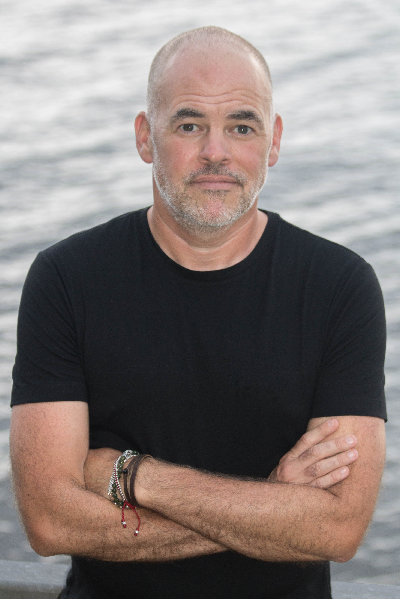 In his new novel “The Reason You’re Alive” (HarperCollins/2017), writer Matthew Quick tells the story of an aging Vietnam veteran grappling with civilian life. David Granger’s brash personality leads to a tense relationship with his left-leaning son that he must navigate as he wrestles with the sins of his time in the military. Quick’s own family history influenced the development of the character. As a kid, Quick would often hear stories from his Uncle Pete about his own stint in Vietnam. Host Frank Stasio talks with Quick about the influence of Uncle Pete’s stories on his writing and why he chose to memorialize his uncle in his new novel. Quick reads tonight at Quail Ridge Books in Raleigh at 7 p.m. and tomorrow at Malaprop’s Bookstore in Asheville at 7 p.m. 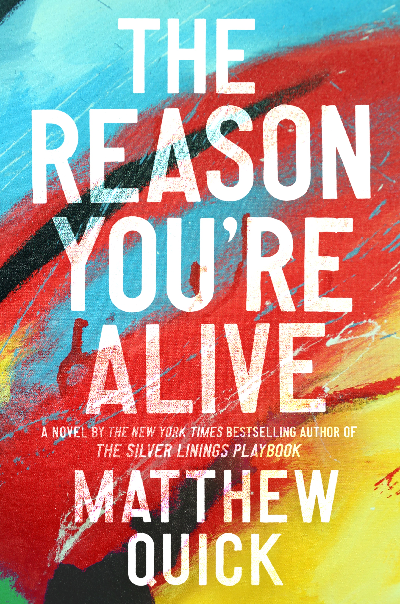 Host Frank Stasio talks with author Matthew Quick about his new novel, “The Reason You’re Alive”. On creating an unreliable narrator through the character David Granger: think of it almost like a puzzle. You go into the journey. You think you know this guy, and you turn a few pages and think you have him pegged. Then you get a little bit further, and you realize you don’t know this guy at all. I think that’s much like life when we encounter people. We all wear masks. Once we get a little bit deeper and spend more time with people, we start to see that they take their masks off at some point. And that’s what is really fun about working with an unreliable narrator. On Quick’s relationship with his Uncle Pete, a Vietnam veteran: My uncle was a man who would constantly call me and say some things that were pretty offensive. He had a lot [of] offensive names for me. He very much thought of me as a “snowflake.” In his mind I was the most extreme liberal even though that wasn’t the case. But he was also a guy who would call and check up on me when I was in my 20s and was dealing with anxiety. I really didn’t even know what anxiety was. He’d say, “I’ve spent a lot of time at the VA. and you don’t seem right. You need to get out and talk to people.” Same stuff we would say to war vets, and I’m not comparing my experience to somebody who comes home from war, but if you have anxiety and suffer from anxiety, then the symptoms are the same. He was a very unlikely ally, and I think the book is about making unlikely allies. And in this time in America, I think we need unlikely allies. On writing the screenplay for “The Reason You’re Alive”: It’s a very different experience. I remember speaking with David O. Russell for the first time when he wrote the screenplay for “Silver Linings Playbook,” and he said to me, and Harvey Weinstein said this to me as well, he said, “You’re really hard to adapt.” I had no idea what that meant at the time. Then someone said, “Hey adapt your own work,” and I sat down and tried to do it. When you write from a first-person point of view, and especially when you’re working with unreliable narrators in a novel, you’re just squarely in this case in David’s head. You’re only seeing things from his point of view. So when you get a depiction of his son, it’s not a true depiction. It’s how David sees his son. So when you convert that on to the screen, obviously you have two characters playing out a scene. You’ve got to make that son a fully-developed human being not just from David’s point of view but from the audience’s point of view. So it is really tricky, and I understand what Harvey and David O. were talking about now.